Amherst College, Amherst, MA, 1986. Rockefeller University, New York, NY, 1994. Cornell University Medical College, New York, NY, 1995. Intern in Internal Medicine, Department of Medicine, Hospital of the University of Pennsylvania, 1995-1996. Resident in Internal Medicine, Department of Medicine, Hospital of the University of Pennsylvania, 1996-1997. Fellow in Hematology/Oncology, Department of Medicine, Hospital of the University of Pennsylvania, 1997-2001. Fellow/Trainee, University of Pennsylvania, Patient Oriented Research Training Program , 1998-1999. Post-doctoral Research in Cancer Genetics, University of Pennsylvania Cancer Center, Laborartory of Barbara Weber MD, 2001-2004. American Board of Internal Medicine, 1998. ABIM Subspecialty Boards in Oncology, 2003. ABIM Subspecialty Medical Oncology Recertification, 2017. 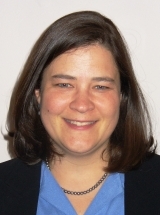 Marcia S. Brose MD PhD is an Associate Professor at the University Of Pennsylvania School Of Medicine, in the Departments of Otorhinolaryngology: Head and Neck Surgery, and Medicine, division of Hematology/Oncology. Over the past 5 years she has been the Director of the Thyroid Cancer Therapeutics Program. and in 2015 she was appointed the head of the Center for Rare Cancers and Personalized Therapy for the Abramson Cancer Center. She received her Medical Degree from Cornell University Medical College in 1995, and her PhD in Genetics in 1994 from the Rockefeller University in New York City. She then moved to the Hospital of the University of Pennsylvania where she completed her specialty training in Internal Medicine, and Hematology and Oncology, and postdoctoral work in cancer genetics. Dr. Brose’s current research interest includes the identification of novel treatments for advanced thyroid cancer, and she runs a clinical research unit and a laboratory aimed at identifying new therapeutic targets for solid tumors through genetic and molecular studies of tumor tissue. She started and currently runs the program for thyroid cancer therapeutics at the Abramson Cancer Center of the University of Pennsylvania, and was recently appointed the inaugural Director of the Center for Rare Cancers and Personalized Therapy, a unit aimed to bring the advances of new treatments recently approved for more common cancers to patients that have more rare diseases, or through identification of genetic signatures that identify them as possible candidates to new targeted agents. She is currently the PI of several active clinical phase I-III clinical trials. Dr. Brose is widely regarded as a pioneer of the new field of Thyroid Cancer Oncology. Prior to her work, there were no treatments for patients who had advanced disease. She is the global co-PI of DECISION, the pivotal international multi-institutional Phase III trial of sorafenib for patients with iodine refractory differentiated thyroid cancer which work was recognized with a plenary lecture to the American Society of Clinical Oncology in 2013 (with over 21,000 in attendance and widely reviewed online). The study was published in The Lancet and lead to the first FDA approved agent in this indication. She is also the PI of the international multicenter phase II study of vemurafenib in patients with RAI refractory papillary thyroid cancer that harbors the BRAFV600E mutations which is the first non-VEGF receptor TKI to show activity in this disease which was recently published in Lancet Oncology. She is a Co-Investigator and author of the pivotal phase III trials EXAM (cabozantinib in medullary thyroid cancer) and SELECT (lenvatinib in differentiated thyroid cancer) which were published in the Journal of Clinical Oncology and New England Journal of Medicine and both of which led to FDA approvals for Medullary and RAI refractory Differentiated Thyroid Cancer. She is an internationally recognized leader of the field of thyroid cancer oncology, and has been invited to lecture and teach physicians in the US, Europe, Asia, Central and South America on the emerging treatments for advanced thyroid cancers. Her laboratory, which focuses on the correlative aspects of clinical trials has been a leader in identifying genetic markers of responses in clinical trials (Yarchoan et al 2016, and Brose et al, 2016). She sees patients from across the US and Canada and abroad and regularly is invited to grand rounds to educate surgeons, endocrinologists and oncologists on how to incorporate the new systemic treatments for advanced thyroid cancer. In summary, Dr. Brose’s research has led to new hope for patients with advanced thyroid cancer. Her work has laid the foundation for successful treatment approaches that are not only extending progression free survival, but overall survival as well. Treatment of Thyroid Cancer, PhaseI/II/III clinical trials, novel drug target discovery, and use of genetic testing in diagnosis, prognostication and prediction of resopnse to the treatment of cancer. Treatment of Rare Cancers of the Head and Neck. Tahara M, Brose MS, Wirth LJ, Suzuki T, Miyagishi H, Fujino K, Ductus CE, Gianoukakis A: Impact of dose interruption on the efficacy of lenvatinib in a phase 3 study in patients with radioiodine-refractory differentiated thyroid cancer. Eur J Cancer 106: 61-68, Jan 2019. Subbiah V, Gainor JF, Rahal R, Brubaker JP, Kim JL, Maynard M, Hu W, Cao Q, Sheets MP, Wilson D, Wilson KJ, DiPietro L, Fleming P, Palmer M, Hu MI, Wirth L, Brose MS, Ou SI, Taylor M, Garralda E, Miller S, Wolf B, Lengauer C, Guzi T, Evans EK: Precision Targeted Therapy With BLU-667 for RET-Driven Cancers Cancer Discov 8(7): 836-849, Jul 2018. Wirth LJ, Tahara M, Robinson B, Francis S, Brose MS, Habra MA, Newbold K, Kiyota N, Dutcus C, Mathias E, Guo M, Sherman S, Schlumberger M: Treatment-Emergent Hypertension and Efficacy in the Phase 3 Study of (E7080) Lenvatinib in Differentiated Cancer of the Thyroid (SELECT). Cancer 124(11): 2365-2372, Jun 2018. Brose MS, Bible KC, Chow LQM, Gilbert J, Grande C, Worden F, Haddad R : Management of treatment-related toxicities in advanced medullary thyroid cancer Cancer Treat Rev 66: 64-73, May 2018. Drilon A, Laetsch TW, Kummar S, DuBois SG, Lassen UN, Demetri GD, Nathenson M, Doebele RC, Farago AF,Pappo AS, Turpin B, Dowlati A, Brose MS, Mascarenhas L, Federman N, Berlin J, El-Deiry WS, Baik C, Deeken J, Boni V, Nagasubramanian R, Taylor M, Rudzinski ER, Meric-Bernstam F, Sohal DPS, Ma PC, Raez LE, Hechtman JF, Benayed R, Ladanyi M, Tuch BB, Ebata K, Cruickshank S, Ku NC, Cox MC, Hawkins DS, Hong DS, Hyman DM : Efficacy of larotrectinib in the TRK Fusion-Positive Adult and Pediatric Cancers. N Engl J Med 378(8): 731-739, Feb 2018. Schlumberger M, Elisei R, Müller S, Schöffski P, Brose M, Shah M, Licitra L, Krajewska J, Kreissl MC, Niederle B, Cohen EEW, Wirth L, Ali H, Clary DO, Yaron Y, Mangeshkar M, Ball D, Nelkin B, Sherman S : Overall survival analysis of EXAM, a phase III trial of cabozantinib in patients with radiographically progressive medullary thyroid carcinoma. Ann Oncol 28(11): 2813-19, Nov 2017. Brose MS, Worden FP, Newbold KL, Guo M, Hurria A: Effect of Age on the Efficacy and Safety of Lenvatinib in Radioiodine-Refractory Differentiated Thyroid Cancer in the Phase III SELECT Trial. J Clin Oncol 35(23): 2692-99, Aug 2017. Brose MS, Pitoia F, Smit JWA, Lin C, Fellous M, De Sanctis Y, Sugitani I, Schlumberger M: Interim baseline characteristics from RIFTOS MKI, a global non-interventional study assessing the use of multikinase inhibitors (MKIs) in the treatment of patients with asymptomatic radioactive iodine-refractory differentiated thyroid cancer (RAI-R DTC). American Society of Clinical Oncology Annual Meeting, Chicago, IL(6084), Jun 2017. Kappeler C, Wagner A, Kalmus J, Brose MS, Schlumberger M, Demetri GD : Clinical evidence from two different drug/disease phase III trials supporting statistical adjustment methods to assess confounding impact of treatment crossover on overall survival (OS). American Society of Clinical Oncology Annual Meeting, Chicago, IL June 2017. Capdevila J, Garcia IM, Mancuso FM, Iglesias C, Nuciforo P, Zafon C, Palmer HG, Ogbah Z, Muiños L, Pena CE, Brose MS, Schlumberger M, Vivancos A : RNAseq analysis of the sorafenib phase III DECISION trial in differentiated thyroid cancer (DTC): Correlation with clinical outcome American Society of Clinical Oncology Annual Meeting, Chicago, IL June 2017.